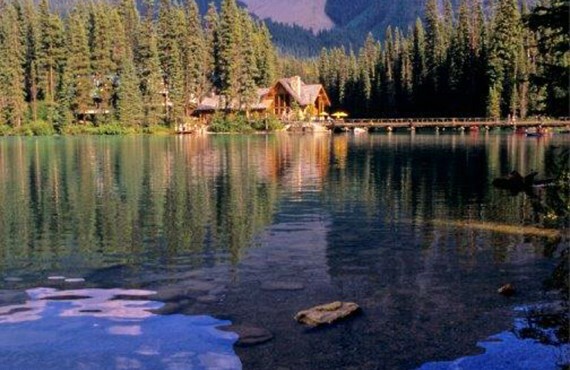 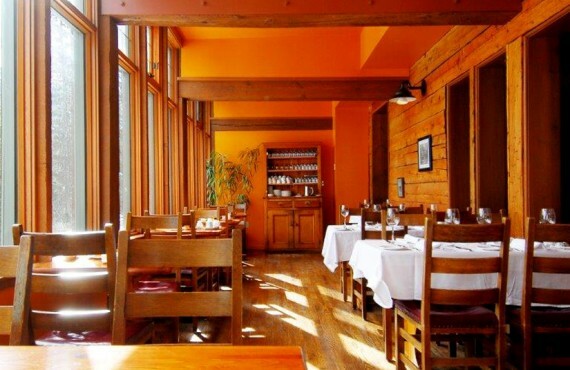 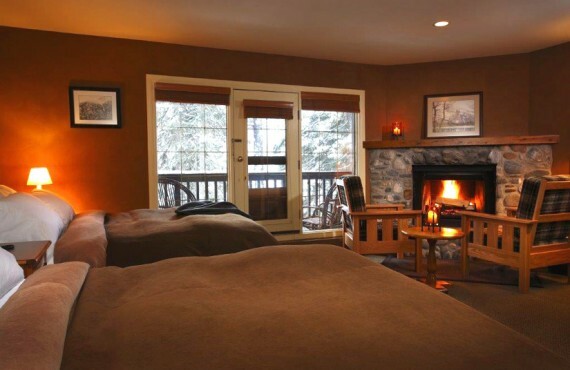 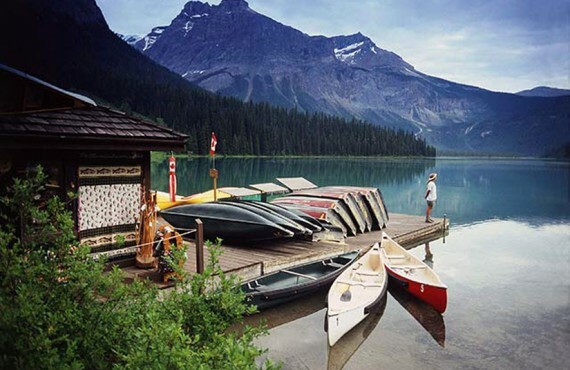 Emerald Lake Lodge is in perfect harmony with its natural surroundings. 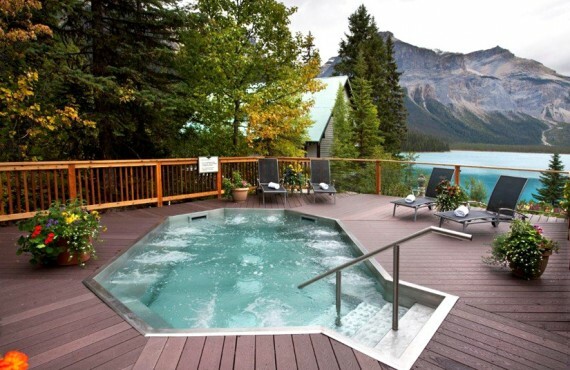 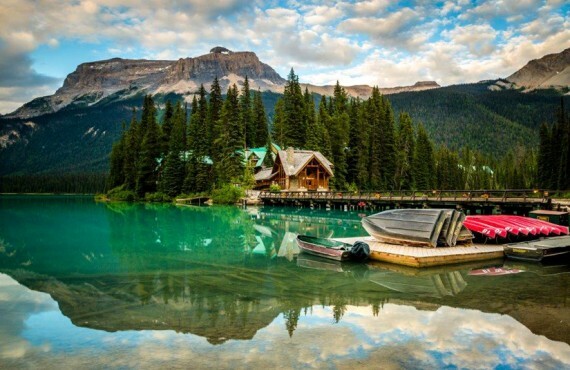 Nestled on the shores of Emerald Lake in Yoho National Park, one of the most beautiful corners of the Canadian Rockies, the lodge offers a peaceful escape just a few kilometres from Lake Louise. 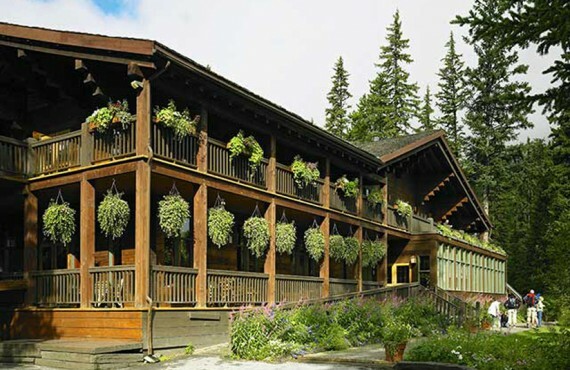 Built of hand-hewn timber and featuring massive stone fireplaces, the lodge includes an elegant dining room, quiet reading and sitting rooms and a games room. 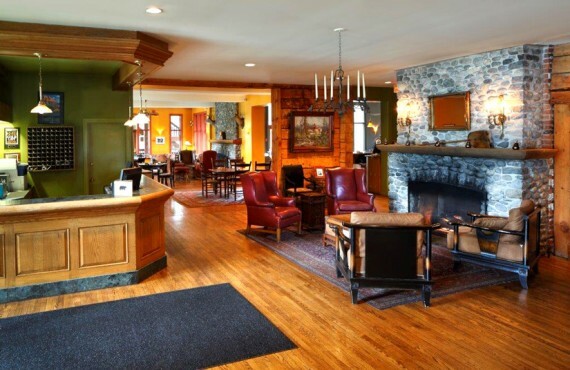 The lounge features an oak bar salvaged from a 1890s Yukon saloon. 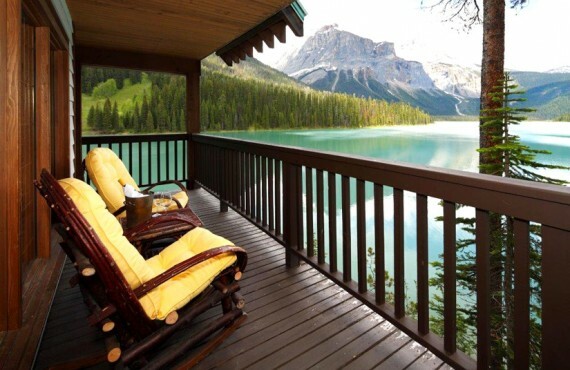 From upper and lower verandas, the vistas of surrounding mountainscapes are breathtaking. 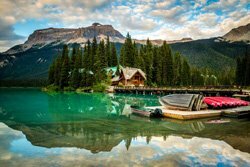 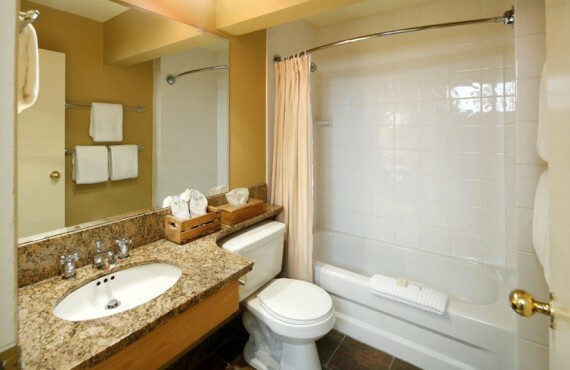 NB: There are no televisions or Internet access in any of the guest rooms, and there is no mobile phone reception in the entire area of Yoho National Park. 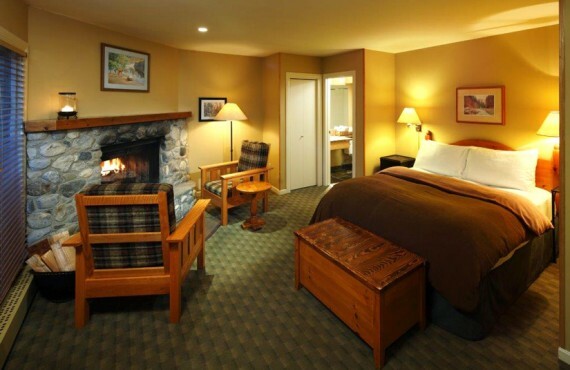 However, there is Wi-Fi in the hotel lobby and a television in the games room.